Here’s the official recording of Roger Willcocks speaking at Magento Live in 2013. Generally, 20 or so great ideas about how to use Google Analytics to improve sales and conversions on a Magento website. 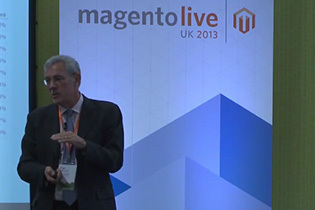 MagentoLive UK 2013 – Using Analytics to Improve Sales & Conversion Metrics from Magento on Vimeo.